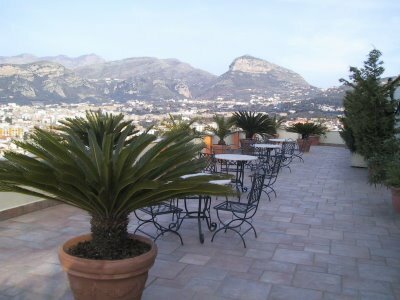 Hotel Cristina, placed in between the coast and the hill, overlooks the town of Sant'Agnello. 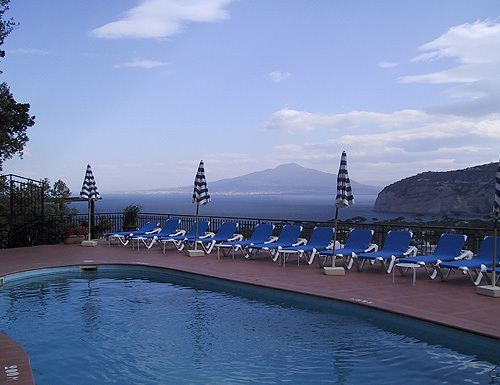 Placed 1200 metres from Sorrento main square, it has a breathtaking view on the Bay of Naples and Mount Vesuvio and offers to his customers a comfortable and relaxing stay. All the rooms fully equipped, have got a bathroom, Satellite Tv, phone, balcony with sea view and air conditioning (May to September). Hotel Cristina also offers a panoramic swimming pool (open from june to september), lift, parking , garage (to be paid), cortesy bus . 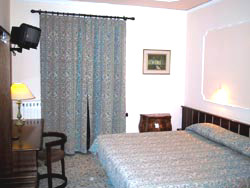 Hotel Cristina is finely furbished, and all the furnitures have been chosen in a classic style . The panoramic restaurant offers typical dishes and top class standards. Large terraces and a nice garden surrounded by ancient olive plants, let the customer enjoy the sunset overlooking the Bay and Mountain the garden can also be used for jogging sessions. 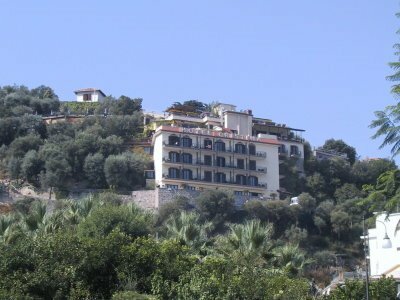 Hotel Cristina has a bar, lounge, panoramic outdoor swimming pool(open from June to September), a panoramic restaurant and terraces and a garden. There is also a courtesy bus and a fitness centre at about 500 meters with fitness equipments(free use of Hotel Cristina's guests) and Beauty Central(extra charge). 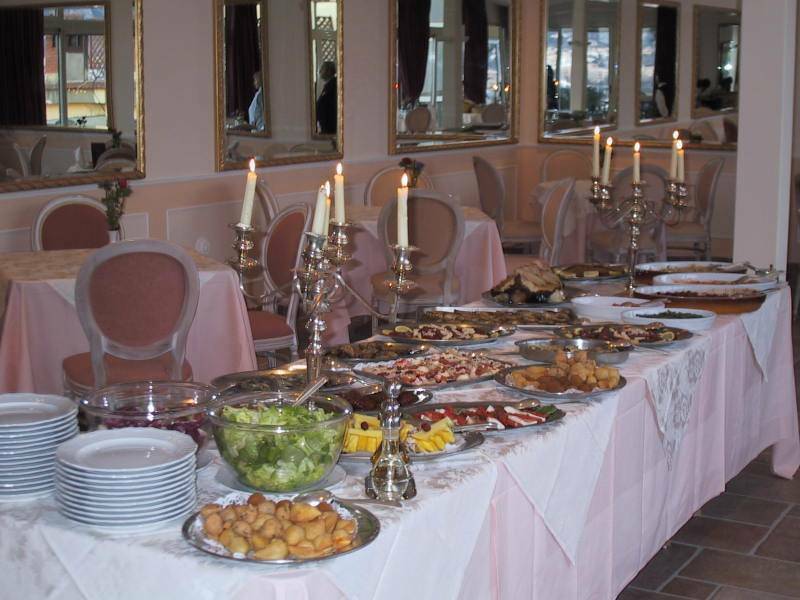 The panoramic restaurant offers typical dishes and top class standards. To confirm the reservation is required a credit card as guarantee. For some periods is required a deposit. Cancellation policy : les than 10 days prior to arrival there is the charge of one night. BY MOTORWAY : From Naples to Sant'Agnello, it takes about 1 and 1/2 hours . 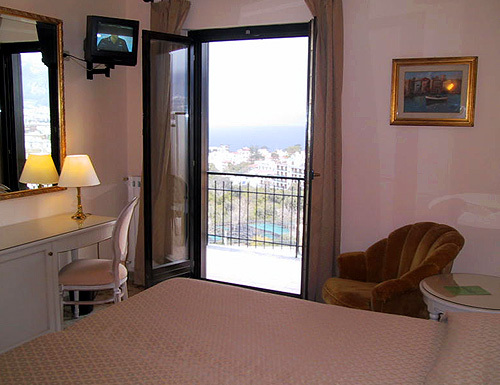 Just before the entrance of Sorrento , you will see on the left side up on the hill Hotel Cristina. From Naples' airport to Sorrento there is also a bus , it takes about one hour the cost is ca. euro 5, 00 per person .